Manchester United legend Bryan Robson defended the team's temperamental coach Jose Mourinho after the Portuguese was forced to watch the dying moments of the Premier League game against Southampton from the stands at the St Mary's Stadium on Saturday. 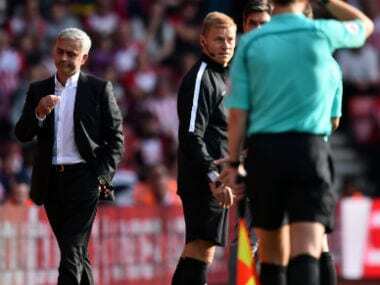 Mourinho was sent off to the stands by referee Craig Pawson in the final few minutes of a closely-fought Premier League match against Southampton, for 'accidentally' stepping onto the field of play as he instructed his players. Robson conceded that the Portuguese manager broke the rules by leaving his technical area, but from his own experience as a manager, he said that there should have been some leeway. "If Jose Mourinho gets fined or banned after being sent to the stands on Saturday for continually stepping out of his technical area, it will be an absolute disgrace. It was a joke of a decision," he told The Daily Mail. 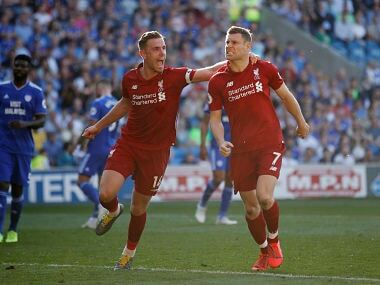 Robson said Mourinho’s misdemeanour was nothing compared to those of his rival managers, as he picked out Liverpool's Jurgen Klopp and Chelsea's Antonio Conte for special criticism. 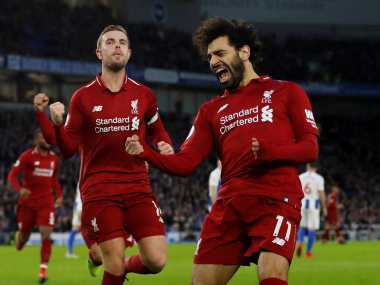 "When Antonio Conte goes dancing down the touchline like a jack-in-the-box or Jurgen Klopp contorts his face while waving maniacally at a fourth official, we praise them as being passionate and say it's great to see. They can act like lunatics but (do) not get punished," the former United great added. After the match, Mourinho told the reporters that he didn’t understand Pawson's decision to send him off. What came as a respite to the Manchester United manager, however, is that he will face no punishment from the English FA. There is no hiding that the Portuguese has had a bad reputation because of his actions. However, he is often punished for actions of a far smaller nature. The 54-year-old-year-old coach, who has coached Real Madrid, Inter Milan and Chelsea, has now been reportedly sent to the stands nine times, sat out 16 matches in bans and been fined a total of £329,000.